Follow the in-crowd this autumn and adorn your beautiful ears with multiple studs, hoops and tragus bars. Here at Essential we’ve got something pretty for all ear piercings. 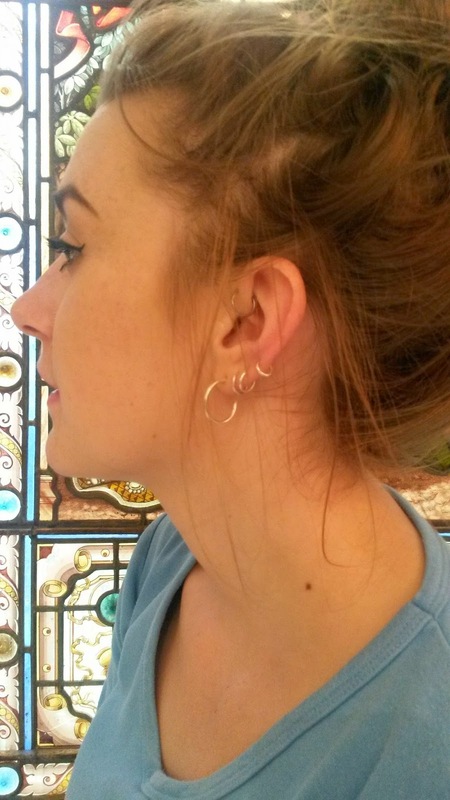 Chloe from our Bournemouth store shows you how to achieve the look by choosing different size hoops and sparkly studs. So now all you have to do is go online or come in store to shop! All our tragus bars are made from surgical steel and so are safe for delicate ears. With a choice of a tragus bar with a crystal or with a glitter ball, you can be sure your piercing will always look pretty. 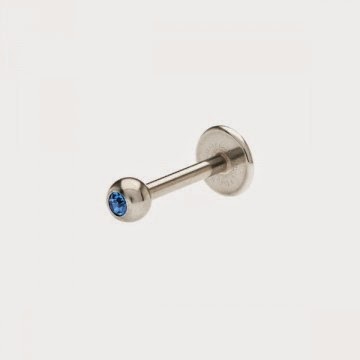 8mm surgical steel tragus bar with blue crystal priced at £4.99. Clear and pink crystal options are also available online. 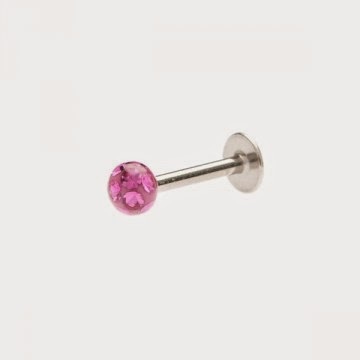 8mm surgical steel pink glitter ball tragus bar priced at £4.99. Clear and blue glitter ball options are also available online. 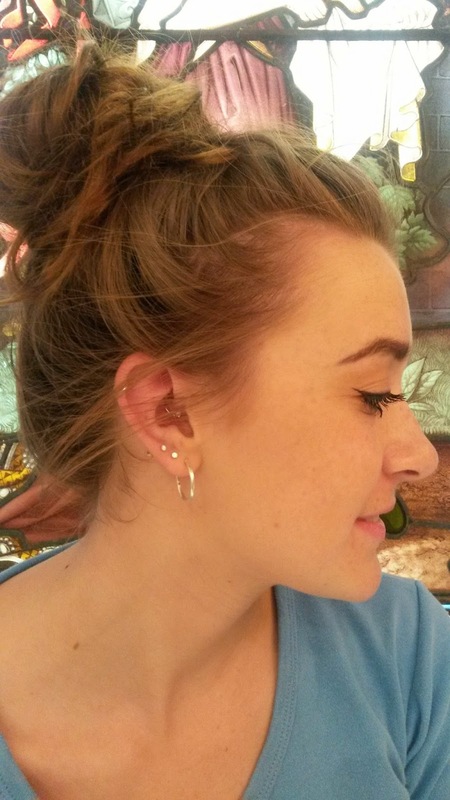 We have lots more tragus bars also available in our stores in 6mm and 8mm. Little ones, big ones, round ones, square ones. Sparkly ones, silver ones, gem ones, shell ones. We have so many gorgeous stud earrings for you to choose from! Here's some of our most popular ones for the multi-earring look. 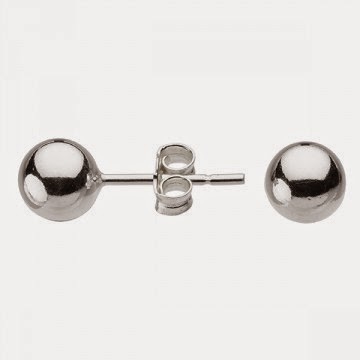 These sterling silver stud balls are a great staple when you're wearing multiple earrings. And better yet, they come in a range of sizes, with prices ranging from £2.99 - £14.99. 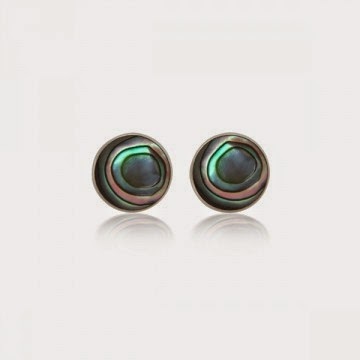 These earrings pictured above are 6mm priced at £4.99. Black goes with everything right? 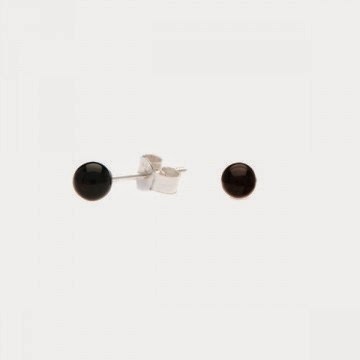 So make a clever choice and invest in these cool sterling silver and onyx studs. Available in 4mm priced at £4.99 (pictured) and 6mm priced at £5.99. To add a bit of colour and shine to your look go for these stunning paua shell and sterling silver studs priced at just £8.99. 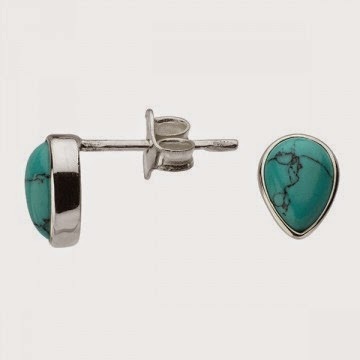 Hippy chicks out there will love these turquoise and sterling silver teardrop pendant studs priced at £9.99. 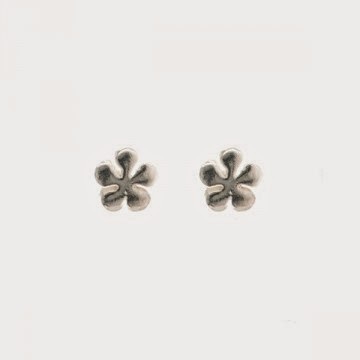 These super cute sterling silver flower studs, priced at £4.99, are a great choice to adorn your ears and give a nod to this seasons retro trend. 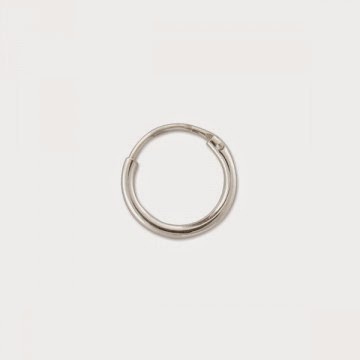 Get hoop happy by choosing from our great selection of sterling silver beauties. We sell sterling silver sleepers individually, in a range of sizes priced from £1.75 - £2.75, letting you mix and match what you wear. The sleeper above is 12mm and is priced at just £2.50. 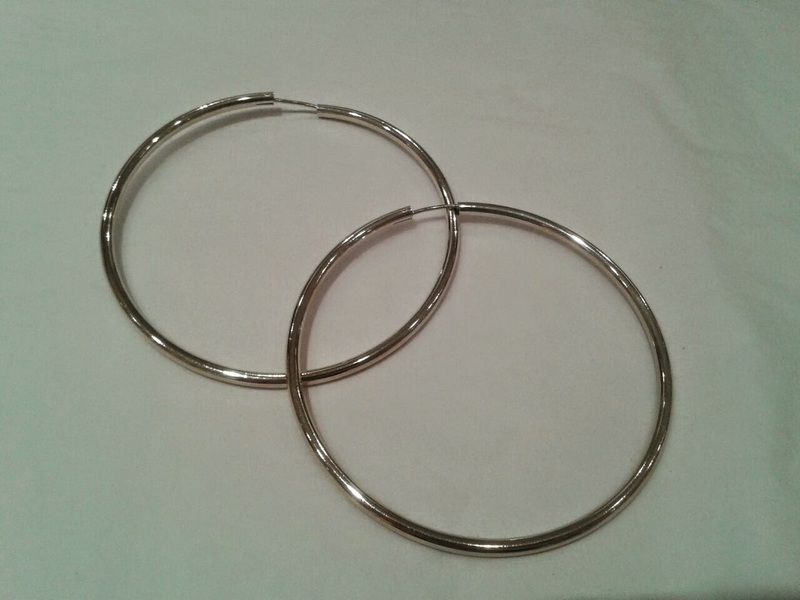 For a classic hoop look why not go for these 35mm sterling silver wide hoops priced at £35. 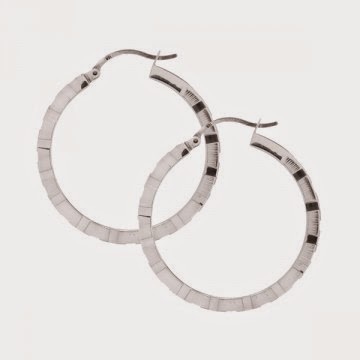 To take a bold step into the trend choose these modern grooved 35mm hoops, priced at £38. 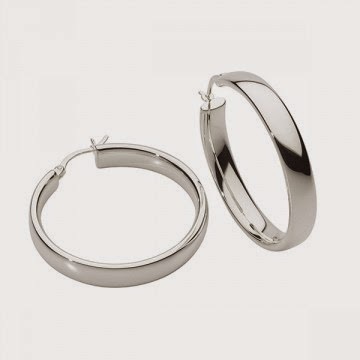 And if you really want to stand out from the crowd, choose these extra large 75mm sterling silver tube hoops, to really get you noticed. Priced at £48. All our jewellery can be purchased in our stores or online, subject to availability.